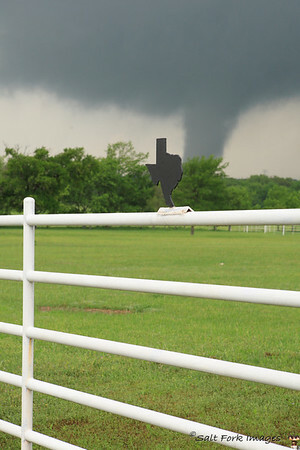 It's springtime in Texas again and that means one thing: bluebonnets and tornados. Okay, that's actually two things but in Texas they often go together. 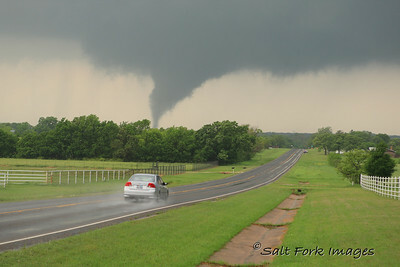 Yesterday was a tough day in the DFW Metroplex with twelve (or more) tornados touching down from Joshua to Greenville. I happened to be in Joshua for a mid-morning meeting and I saw the first tornado of the day form just east of highway 174. Shown below is a photo I snapped from my truck window. This is one reason I always keep my camera with me. Sunsets, sunrises, car wrecks, tornados, muledeer or wildflowers: you never know when you might encounter the shot of a lifetime. Or, maybe you need to prove to everyone that you just saw your first tornado. By the way, once you know you're safe from the storm, it's okay to get a little creative. Of course, the softer side of Texas springtime occasionally gets my attention. 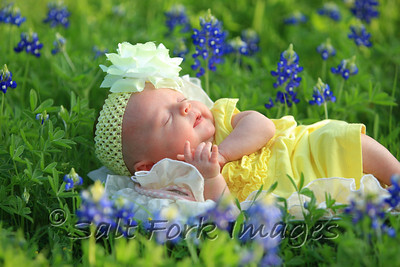 Here's a shot of Liv in the bluebonnets across the street from my house. What a cutie! Don't forget to celebrate Easter next Sunday. Christ paid the debt for your sins and for mine by giving His life on a cross. On the third day He overcame the grave. He is risen!